Home / How to set up WooCommerce Dynamic pricing when two or more product quantity is added to the Cart? How to set up WooCommerce Dynamic pricing when two or more product quantity is added to the Cart? Clark has a WooCommerce store in which he wants to offer a discount for his customers. His dynamic pricing strategy involves offering 10% discount when customers add two or more quantity of products to their cart. He also wants to set a maximum discount of $10. He can achieve this with our ELEX Dynamic Pricing and Discounts Plugin for WooCommerce. 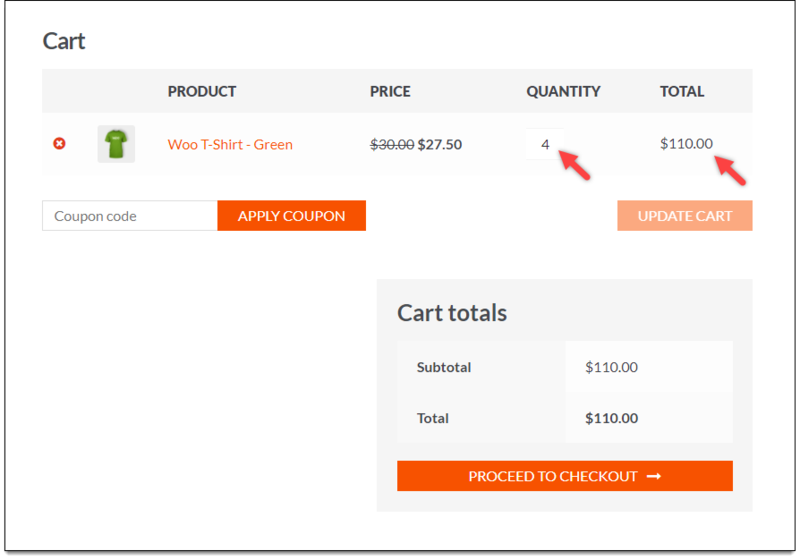 In this article, we will discuss how to set up WooCommerce Dynamic pricing when two or more product quantity is added to the Cart. 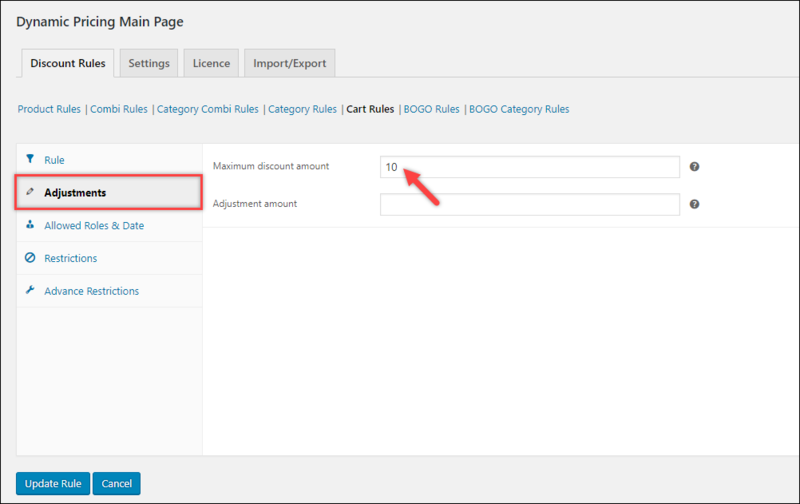 Step1: Under Discount Rules tab, click Cart Rules. Next, to add a new cart rule, click on Add New button. A screenshot of the settings is as shown below. First, enter the desired offer name. Since we are checking on the quantity of the products added to the cart, select Total Units from the condition list, and enter the minimum total units as 2. Select discount type as Percent Discount, and enter value 10(indicating 10% discount) in the discount percentage field. The settings are as shown in the below screenshot. Step3: Move to Adjustment section, and enter the maximum discount amount as 10. A screenshot of the configured settings is shown below. Additionally, you can configure other settings like offer period, allowed user roles, stock limit and so on. Once all settings are configured, save the settings. Let us move to our WooCommerce cart page to see the applied offer. 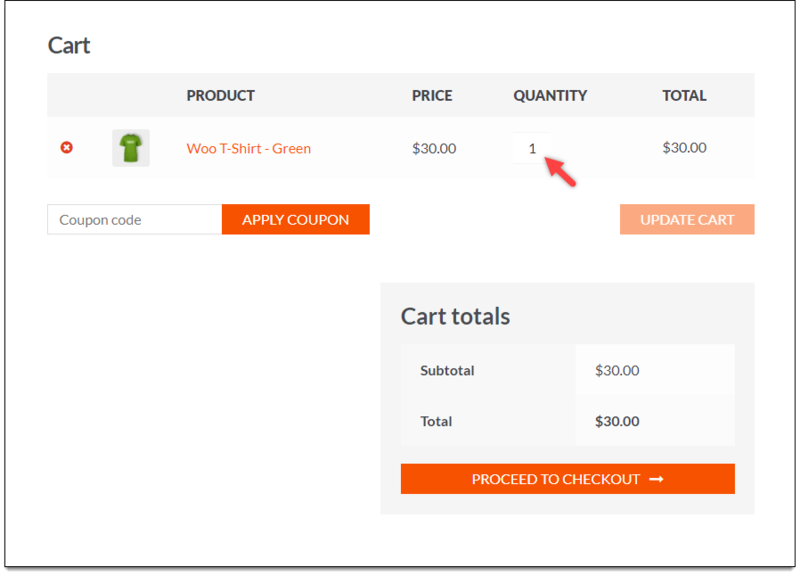 Below is a screenshot showing a product added to the cart. When the quantity of the product is increased, the discount is applied. In our demonstration, the discounted amount is $3 per product. It is as shown in the screenshot below. When the quantity of the product is further increased, the discount reaches its limit, which is $10. The below screenshot shows the maximum discount amount applied. Hence in this way, Clark was able to configure WooCommerce dynamic pricing based on product quantity in the cart, with our Dynamic Pricing and Discounts Plugin for WooCommerce. 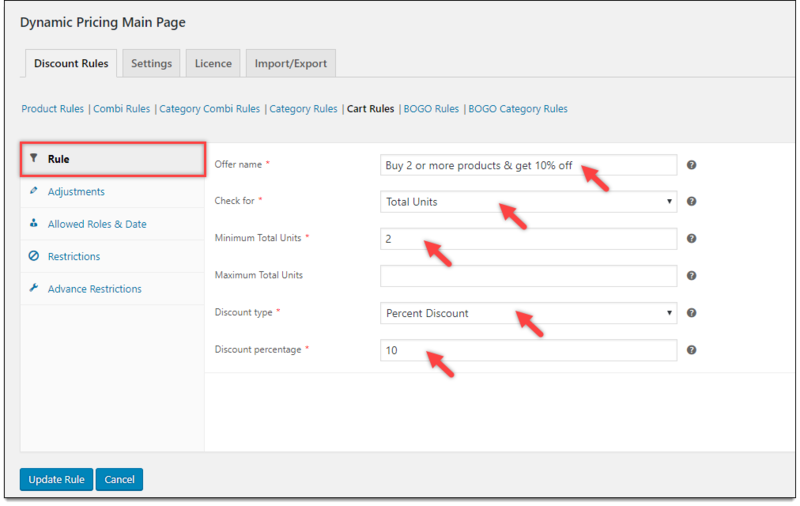 To know more about the product, check out Dynamic Pricing and Discounts Plugin for WooCommerce. Or check out documentation section for more related articles.